A recently released movie, “Room”, is based on a novel by Irish-Canadian author, Emma Donoghue, and was inspired by a true event. It is the story of a mother and five year old boy who are being held captive in a small garden shed. The mother, called Ma in the story, was lured there as a teenager by a man she refers to as Old Nick and has been imprisoned since. Jack, the boy, was born in captivity and has never been outside the shed or seen another person besides his mother and the man who is their jailor. His only contact with the outside world is through a skylight on the roof of the shed and a television set. The room they live in consists of a cooking area, bathtub, sink, wardrobe and bed. Food and necessities are brought to them by Old Nick. Since Jack has never known any world other than the room they live in, he believes theirs is the only world that exists and that what he sees on television are only pictures of make believe things. What is amazing is the way Ma tries to create some sort of normality for her child. She has set a routine which includes made-up exercises that they do in this small space, a healthy diet, and strict hygiene. The film reveals the mother’s creativity. The child’s art work is tacked to every space and we see mom developing a craft project from egg shells. Learning to read and write is part of his daily activities. TV watching time is also carefully limited. The film opens on his fifth birthday and his mother announces to him that they are going to bake a cake. We see Jack beating the eggs and participating fully in this project. Watching this made me think of various things that have been written and said about mothers and children. Selma Fraiberg, known to many parents from her famous book, “The Magic Years,” wrote a paper called “Ghosts in the Nursery,” in which she describes how negative experiences in a parent’s life may be repeated unknowingly as she raises her own child. This then interferes with the child’s development. A colleague of Fraiberg’s, Alicia Lieberman, responded with a paper of her own called, “Angels in the Nursery.” Her idea was that even under adverse circumstances, parents may provide children with positive experiences that can become a source of strength and can be used to overcome difficulties. In much that is written about and for parents these days, we hear more about the ghosts than the angels. We read about what parents are doing wrong rather than about what they are doing right. What is so impressive about “Room” is the way it shows a mother creating positive experiences for her child in the most horrific set of circumstances imaginable. As she says later in the film, her goal always was to protect him to the degree possible. 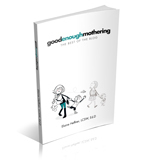 It is also interesting to find aspects of the relationship that are familiar to all mothers. For example, Jack is angry that there is no candle for the cake and no birthday present. He is not impressed that his mother has somehow produced a cake with icing and blames her for not also providing a candle. When later in the film mother and child gain their freedom, the child now having to learn about the world and the mother having to relearn, we can see how this attachment while unusual, plays out in familiar steps. Jack, at times, longs for the “room” where it was just he and Ma. Gradually, they both begin to move out to a larger world where the strengths Jack got from the relationship with his mother stand him in good stead. Previous Previous post: Out Of the Mouths Of. . .